This week we are so excited to release multiple new experiences to our already jam packed catalogue of winery experiences. 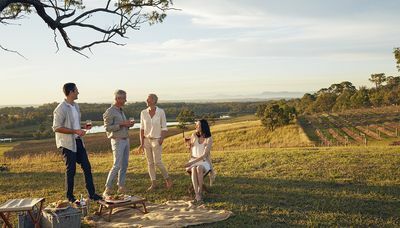 The new packages available continue to take visitors beyond the cellar door for genuinely immersive and distinctly Australian wine and food encounters. A full day Cape to Vine Day tour including a private guided coastal walking tour along a picturesque section of Margaret River’s Cape Track that leads to Vasse Felix for a behind the scenes winery tour, private wine tasting and 3-course lunch in Vasse Felix’s acclaimed restaurant. Click here for details. Leeuwin Estate has added 3 new experiences to their offering showcasing the best in Margaret River wine and food. The new Diamond Experience includes a tutored food and wine matching featuring a cooking demonstration and a copy of all recipes for visitors to take home. You can find details of all new and existing Leeuwin Estate experiences here. Today Jacob's Creek Visitor Centre is a leading wine tourism site in the Barossa Valley. The new Behind the Scenes our is a full day exclusive experience offering visitors a unique glimpse into the history of the Gramp family from Bavaria who created one of the world’s most famous wine brands on the banks of a small creek. Visit Steingarten Vineyard, the original family home and the vast kitchen garden with lunch and a wine master class included. Details here. Having completed extensive renovations this year the newly opened Penfolds Magill Estate offers an exceptional, world-class wine experience just outside Adelaide's CBD. 3 new tours such as the Penfolds Iconic Experience combine an insight into the history of Magill Estate with tutored tastings of Penfolds highly coveted wines together with a 3-course lunch in a private room. Click here for details and pricing of all Magill Estate winery experiences. 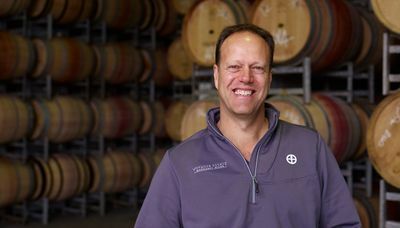 Audrey Wilkinson is offering a new Behind the Scenes Winery Tour in which visitors can meet the winemaking team and develop a greater understanding of the winemaking process. Click here for details. Tahbilk Winery has created four new experiences for the UWEA collection that are combined into the Day at Tahbilk which includes a personally-guided tour of the winery, lunch at the Wetlands Café with current vintage and museum wine pairings with regional food, a blending exercise that finishes with a personalised bottle with the visiting amateur winemakers’ own signature, and an ecological tour of the wetlands. More details here. Moorilla Estate has added 2 new experiences including the Posh-As Day at MONA which ensure all experiences happen in style; and the impressive Moorilla Magnum which provides a fully immersive and unique behinds the scenes MONA and Moorilla experience. See here for details. This is just a selection of the new experiences on offer. All UWEA wineries have worked hard to enhance their existing experiences by offering visitors the option to travel in style through pre-booking private cars or helicopters from the nearest city. See our Experiences page for more details. 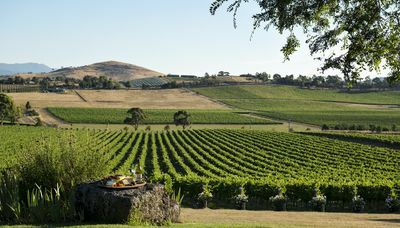 Now there are multiple new temptations in Australia's beautiful wine regions you really are running out of reasons not to visit!